AI could help college debaters become more persuasive, but experts are divided over the promise of computer-assisted coaching, according to Inside Higher Ed, a media company and online publication that provides news, opinion, resources, events and jobs focused on college and university topics. Last month marked the first time a machine-versus-man debate competition took place. 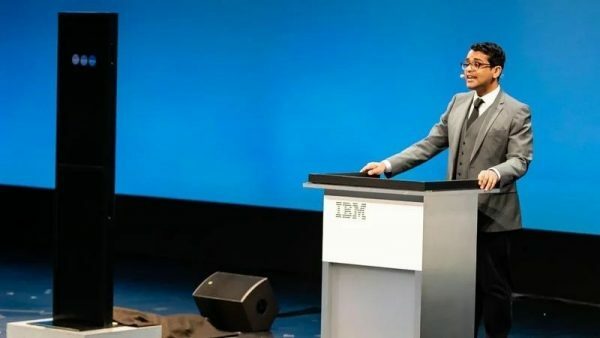 The machine, Project Debater, is an AI-powered technology implementation of IBM that helps people develop persuasive arguments and make well-informed decisions. Project Debater lost to human Champion Debater Harish Natarajan, but the company hopes that the technology can be useful to college debate. It could be a practice opponent, a research aid, or even a judge of the strength of students’ arguments. However, not every debate expert is on the same page. An argument is that AI may not understand the full process of argumentation, for example, “shaping and altering the arguments based on the particular audience” (humor, eye contact, delivery and subtlety of argument). Another argument is “debate is both an art and a science”. A debate coach likened the AI’s performance in the live debate to that of a novice debater. It was able to compile all the information but “didn’t know how to use it”. Important points are also raised about equality and honesty. The technology might only be affordable at the wealthiest institutions, hence, an unfair advantage. It is not sure whether the use of AI would be deemed intellectually honest by college debate judges. The world of college debate is slow to change. AI for college debate? Too early or harmful? See the full article here. See the full report on the survey here.